Clean up your act – Wash surfaces with soap and water, rinse well and allow them to fully dry. Scrape and sand – Smooth the surface with fine-grit sandpaper, wiping it down with a damp cloth to remove any residue. Don’t forget the details – Use painter’s tape to protect window sills, molding, baseboards and the ceiling perimeter. 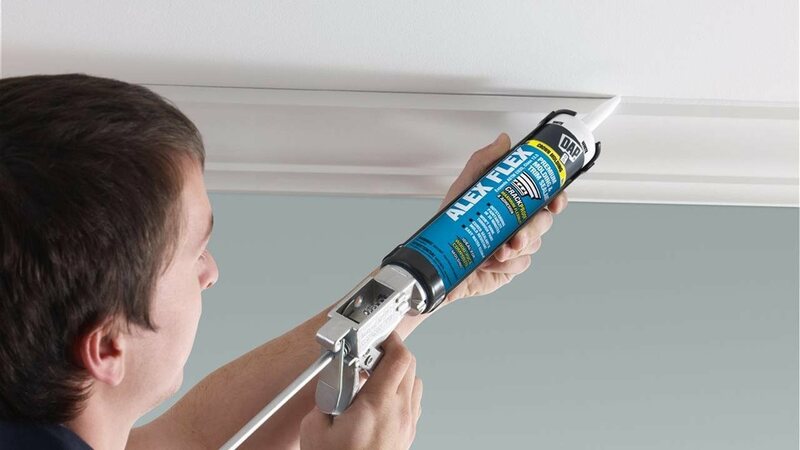 Remove loose or cracked caulking from windows, doors and trim, and apply Alex Flex Premium Molding & Trim Sealant for a smooth, sealed surface. Fill it up – Apply spackle to cracks and dents with a putty knife. Paint with precision – Moisten rollers and brushes in water, as this will help the paint glide on. Allow the first coat to dry, then apply a second coat. Once dry, carefully pull up any painter’s tape.